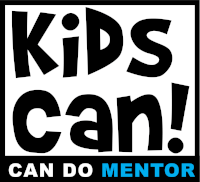 The Can Do Mentor Award is sponsored by First National Bank because they believe in helping individuals succeed and mentoring ensures that young people have someone who cares about them, makes them feel important, and assures them they are not alone in dealing with day-to-day challenges. This year's Can Do Mentor award recipient is Amanda Clark. Amanda is the Program Coordinator at the Ollie Webb Center and a mentor at Kids Can Community Center. 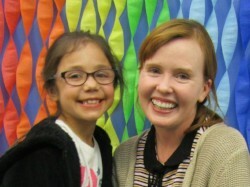 She has mentored two girls while volunteering at Kids Can. Amanda is currently matched with Alannah. In addition to planning and setting personal goals, the pair like to bake, play the game of Life, and create arts and craft projects. They even share the same birthday! Amanda urges everyone to become a mentor because you have nothing to lose and everything to gain from new experiences and new relationships. 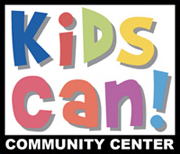 The award will be presented at the Can Do Luncheon on April 18 at the Marriott at Capitol District. The luncheon will feature keynote speaker, Maryum Ali, eldest daughter of Muhammad Ali. To buy your tickets, click here! For more than 160 years, First National Bank has operated under the vision to have successful communities in all the places we serve. To achieve that vision, we reinvest in community organizations, like Kids Can, who are working to make meaningful and lasting impacts across our footprint. And, in 2016, we made a commitment to reinvest $85 million and 100,000 employee volunteer hours by the end of 2020 on proven efforts that strengthen our communities. Since committing to those goals in 2016, we have reinvested more than $56 million and 76,000 volunteer hours and are well on our way to achieving our reinvestment and volunteer hour goals. First National Bank is proud to sponsor the Can Do Mentor award and present the award to Amanda Clark who gives her time both personally and professionally, through her work at Ollie Webb and her time spend mentoring at Kids Can, in order to help youth and adults become successful.